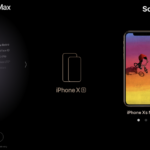 Apple status updates for some iPhone XS and iPhone XS Max orders are now showing ‘Shipment Delayed’ for some customers, detailing expected delivery dates may not be met. The carrier is not able to deliver your item by the expected delivery date. Please use the “Track shipment” link for more information. 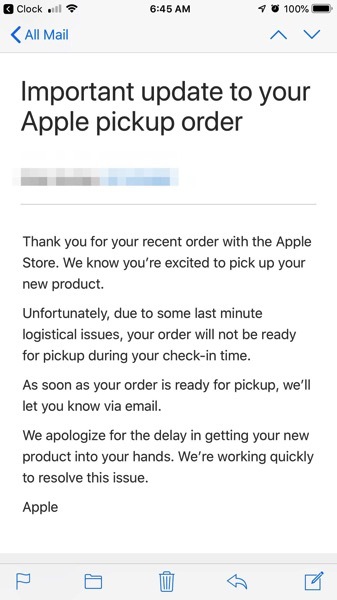 We’re seeing this message on our iPhone XS Max pre-order, but when we visit UPS tracking online, it’s still showing as being delivered by Friday, September 21, “by end of day”. Our iPhone XS Max is already in Victoria, so it should be delivered to us by today. Thank you for your recent order with the Apple Store. We know you’re excited to pick up your new product. As soon as your order is ready for pickup, we’ll let you know via email. We apologize for the delay in getting your new product into your hands. We’re working quickly to resolve this issue. What the hell? I was expecting my XS by post today but only through clicking track shipment do I find out it’s “delayed”. Over $2000 paid upfront and they don’t have the decency to let me know. I’m livid!! So it appears some sort of shipping issue is causing a delay for Reserve and Pick Up orders as well. It could very well be related to UPS being overwhelmed with Apple pre-orders and can’t keep up. Let’s hope things change soon. Did you receive any of these shipment delay announcements?